1. 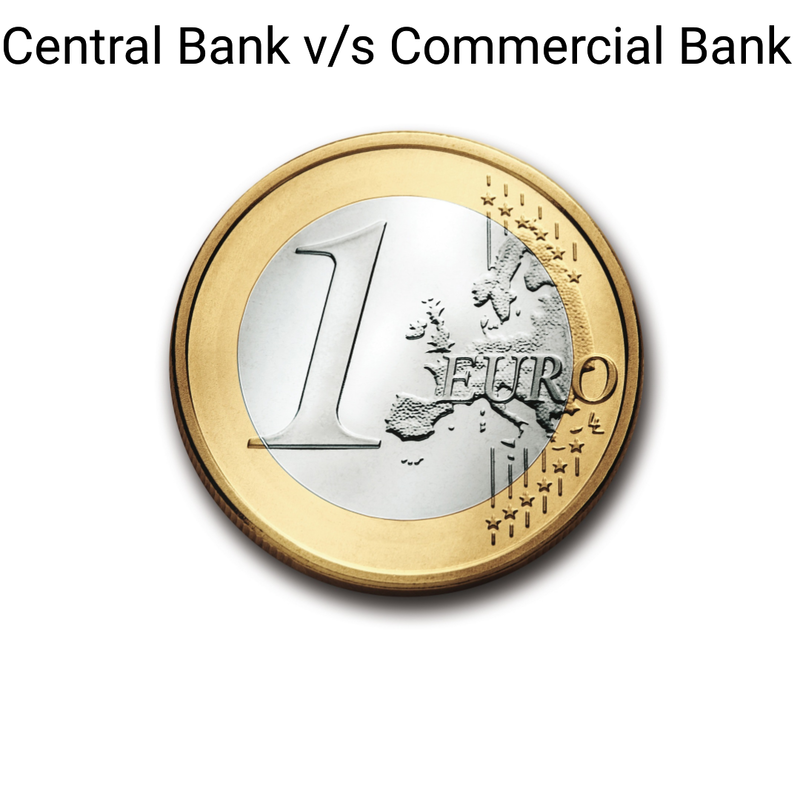 A Central bank is an apex institution in the banking structure of an economy. It is the topmost bank in the banking system of a country. It is a regulatory body of the banking system. It lays down rules and regulations to be followed by other banks in the country. No one can start a bank in the country without the license of the central bank of the country. Commercial banks, on the other hand, are the banks which run the banking business to make profits. All the commercial banks have to follow the rules and regulations laid down by the central bank of the country. 2. The main objective of the central bank is to promote social welfare, whereas the main objective of a commercial bank is to make profits. 5. Central Bank is a banker to the government. It is also a banker of commercial banks. It is called a bank of bankers. However, a central bank does not deal with the general public directly. A commercial bank, on the other hand, is a banker only to the public. Commercial bank deals directly with the general public. 6. There can be only one Central Bank in a country. For example, Reserve Bank of India, Bank of Japan, Federal Reserve Bank (USA) etc. However, it may have a few branches across the country. Usually, there are many commercial banks in the country with a lot of branches spread over the length and breadth of a country. For example, ICICI Bank, State Bank of India etc.